Have got or Has got. Easy ws to review have got. B&W ws is given.hope you like it. 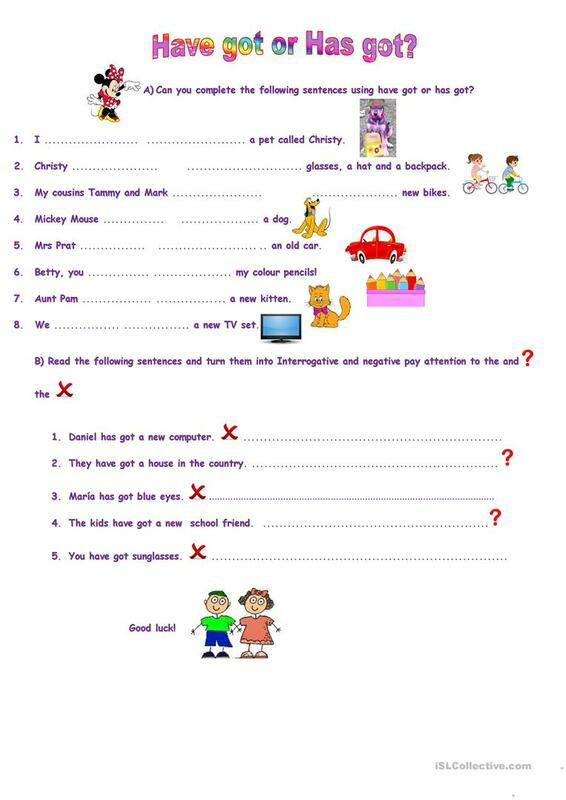 The present downloadable teaching material is best suited for elementary school students and students with special educational needs, learning difficulties, e.g. dyslexia at Beginner (pre-A1), Elementary (A1) and Pre-intermediate (A2) level. It is aimed at revising HAVE GOT or HAS GOT in English, and is useful for enhancing your students' Spelling, Speaking and Writing skills.